Looking to sell all or part of your [Arizona] note payments? Here at Pinnacle funding & Investment Groupwe will buy your note for the highest possible cash price today… No hassles. No obligation. 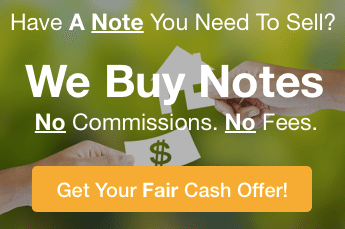 We Are Arizona Note Buyers, And Pinnacle Funding & Investment Group May Be Able To Buy Your Note Payments… Get A Fair Offer Within 24 Hours. Do you have a private mortgage note, real estate note, private promissory note, manufactured home note, or trust deed and want to sell all or part of the payments in your note to unlock your cash stuck in that note? We know there are plenty of reasons why you might want to sell all or part of your note payments fast like: To pay off debts, to make another investment that will provide you a higher return, diversify your portfolio… or even just to get rid of the burdensome book keeping and payment collections. You may be dealing with the potential of foreclosure headaches and a bad borrower… or the note may be performing just fine, you’d just like to free up some of your cash stuck in that note today. (see how below). At Pinnacle Funding & Investment Group, LLC, we buy all kinds of private mortgage notes in Arizona. Connect us at (602) 726-9688 and we’d love to make you a fair offer on your note. Avoid the hassle of listing your private note with a broker. At Pinnacle Funding & Investment group we actively purchase notes (both performing and non-performing). Call today at (602) 726-9688. Why Work With Pinnacle Funding & Investment Group To Sell Your Note For A Fair Price? First off, we buy and sell notes all throughout the state of Arizona , specializing in Maricopa, Pima and Pinal counties. We buy for our own portfolio and our investor partners. There are no commissions or fees ever. 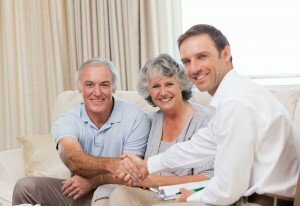 We are professional note buyers based here in Arizona and offer a unique note buying service so that you can sell all or part of your note fast and no longer have to worry about having your cash locked up in that note… or the headaches that go along with collecting payments or doing the accounting on that note… we take care of it all. It’s a simple process (Go Here To Learn About How To Sell Your Mortgage Note ››). Feel free to call us anytime at (602) 726-9688 or simply submit the short form on this page to get the process started! How Does The Process To Sell My Private Mortgage Note To Pinnacle Funding & Investment Group Work? Selling All Or Part Of Your Note Is Actually Really Simple and Straightforward… You’re on this website because you need to unlock the cash in your note sooner than later, right? It’s easier than you think – and we can help. Our local Note Buying Program is really pretty straightforward. Step 1: Submit the note info on this website or give us a call at (602) 726-9688 and let us know a bit about the note (balance, # of payments left, property) & borrower. Step 2: We’ll look at the situation and come up with the value of your note, offer you the highest possible price and several options Step 3: You can have a cashiers check in hand within 14 days (sometimes quicker if you need it). You pay no costs at all. We handle everything start to finish to make the process easy and smooth for you. How Much Can We Pay For Your Note? : That depends upon the borrower credit, payment history, the condition of the property, how long payments have been made, the balance owed on the loan, the number of payments remaining, and the paperwork (Promissory note, deed of trust, title report, etc.). We purchase notes at a discount over the balance remaining on the note. By paying you with cash now, we can give you the maximum amount … often the highest in the market. Ask us how to receive the max price by calling (602) 726-9688 today!). It’s That Simple. Get Your ALL Cash Offer By Tomorrow. Have Cash In Your Hand Within 10-21 Days. 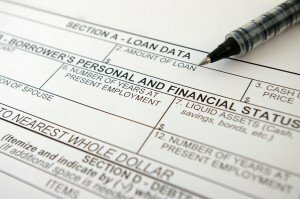 We help note holders, in Arizona just like you in all kinds of situations. From selling a private mortgage, to selling a private trust deed selling a cash flow note, selling a manufactured home note, or even selling an owner financed note… we can help! We are serious note buyers located in the Phoenix metro market but we buy notes in all corners of Arizona. If you want to unlock all or part of the cash stuck in a note you own… we’d love to help! If you prefer to talk to someone in our office before submitting your property information just give us a call today at (602) 726-9688.